Dermal fillers, or injections made directly into the skin, can provide similar cosmetic results to much more aggressive, even surgical, procedures. Whether made from hyaluronic acid or calcium hydroxyapatite, fillers work by restoring volume and reshaping the skin. There are many fillers on the market today, and Dr. Kieu will help you find the optimal product or combination that can give you the look you want, and will love. This treatment involves injecting dermal filler into the nose to change the shape, hide a hump, or correct asymmetry. For patients who are eager to avoid surgery (commonly called “nose job”), injection rhinoplasty can be an ideal option. The results are immediate, lasting and much less invasive than surgical rhinoplasty. Kybella, or deoxycholic acid, is an injectable treatment that works by breaking up and destroying select fat cells where it is injected. It’s specifically tailored to target the fat under the face and chin, called double-chin or “submental fullness.” The Kybella medication must be placed at precisely the correct depth. A significant advantage of this treatment is that it leaves the surface of the skin untouched and unaffected. With PRP therapy, you can get your hair and your life back. PRP (platelet-rich plasma) therapy uses your own blood to stimulate the tissues of the scalp, encouraging healing and hair regeneration. This technique is an effective and exciting non-surgical option for patients who want to combat hair loss conditions, and can also be used in conjunction with other hair restoration procedures to augment results. The treatment is straightforward: we draw blood in our office, just like a routine blood test at the doctor’s office or lab. We then spin the blood sample in a centrifuge, separating the PRP from the rest of the blood. We then inject this highly concentrated PRP into the scalp, targeting the weak hair follicles. (We use a topical numbing cream on the target areas for your comfort during injection.) No other sedation or any medication is needed during the procedure. Dr Kieu also uses PRP for facial rejuvenation. When used in combination with microneedling ("vampire facial"), the platelets help stimulate growth factors in the skin, promoting collagen and elastic production, and boosting natural antioxidant and hydrating properties. This is a great option for patients with uneven skin tone, fine lines or wrinkles, or those that want fresher, more youthful-appearing skin. Physician-grade chemical peels are excellent ways to kick-start your skin rejuvenation program, maintain results of another procedure such as laser, or just help to give that youthful, radiant vibrancy and glow. If you are not ready for, or dislike injectables or lasers, you may find a peel an attractive option. In general, peels can greatly enhance or prolong the results of patients who have done other rejuvenation procedures. Dr Kieu offers an array of customized peeling solution blends for any given skin type or condition. Chemical peels work by inducing accelerated exfoliation or causing a controlled reaction with the top layers of the skin. After the removal phase, the resulting healing process induces the production of collagen, thickening of the skin, and repair of sun-damaged skin. With certain peels, oil gland production can also be reduced, making it a great option to complement any acne or anti-aging regimen. Dr Kieu has extensive knowledge of and skill with the full range of chemical agents available, and will develop the treatment that is just right for your skin and condition. 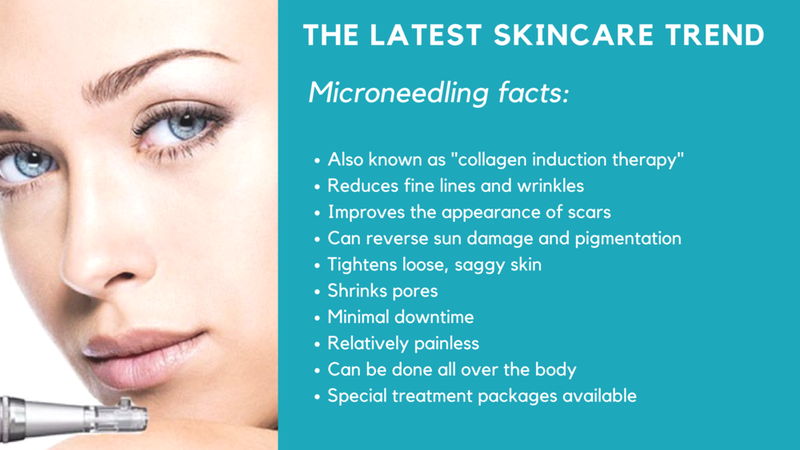 The microneedling device creates tiny punctures in the skin, causing a controlled reaction by the body. The micro-wounds in the target area prompt your body to naturally heal the site through improved blood flow, creation of new capillaries and production of collagen and elastin. This treatment is fast and effective, with minimal pain and minimal downtime. When combined with PRP, microneedling yields even more dramatic, long-lasting results. In addition, Dr Kieu can craft a tailor-made serum to suit your needs.